Originally published in 1940, this book contains a succinct introduction to Boethius, the influential medieval philosopher who was writing during the final days of the Western Roman Empire. 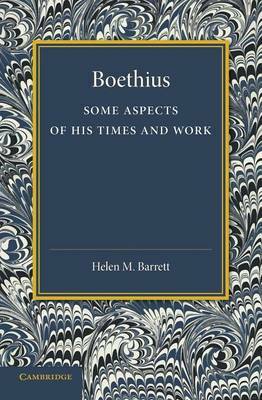 Barrett keeps the general reader in mind as she explains Boethius' philosophy and his role in keeping Greek thinking available to his fellow Romans even as they were being conquered by the Ostrogoths. This book will be of value to anyone with an interest in ancient thought and in Late Antique philosophy.